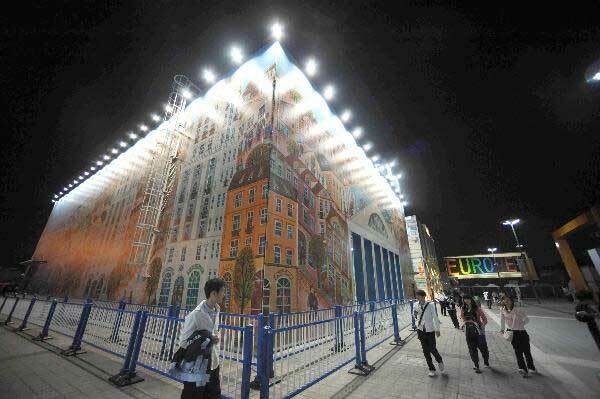 The Belarusian Pavilion at Shanghai Expo 2010 was opened on May 01, 2010. 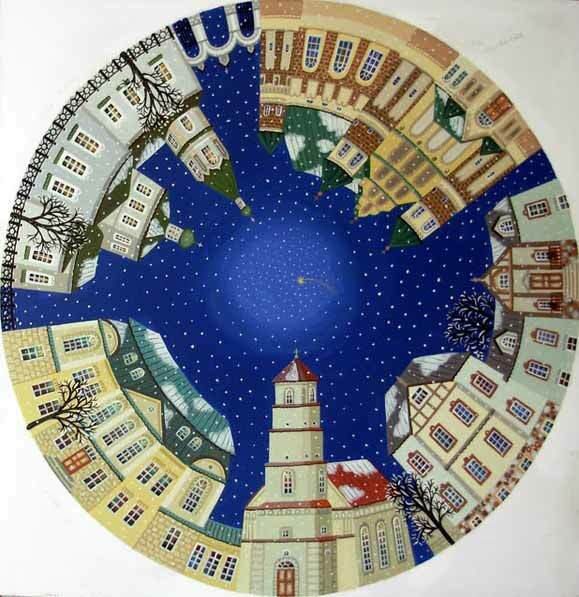 Its exterior is decorated by Igor Rimashevski, a well-known Belarusian artist. Since Belarus didn’t have an opportunity to construct its own pavilion, a cookie-cutter building was rented from the Expo’s administration. Hence, the overall idea of design was simple: to cover up its visual platitude. It was decided that Igor Rimashevski could step in and add his colorful outlook and optimistic mood to the plain quadrangular frame of the pavilion. 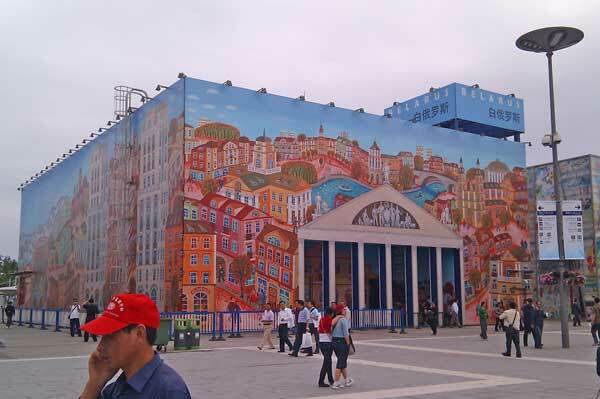 It also helped that the motto of the Expo 2010 is “Better City, Better Life”. 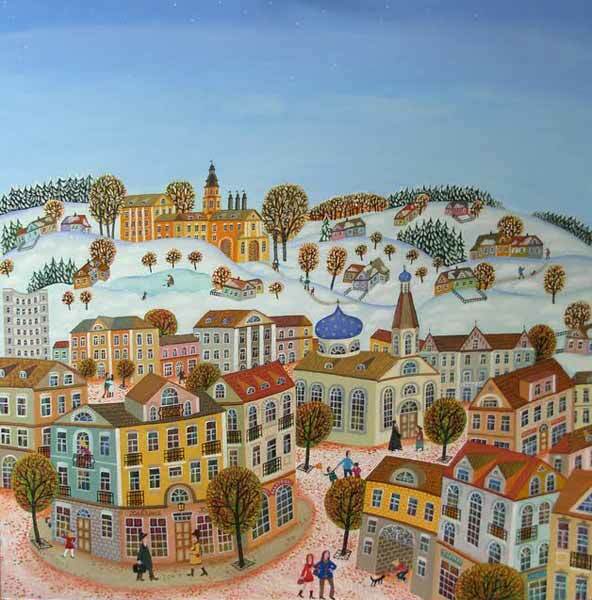 The artist is keen on depicting Minsk, his native city, in the paintings. 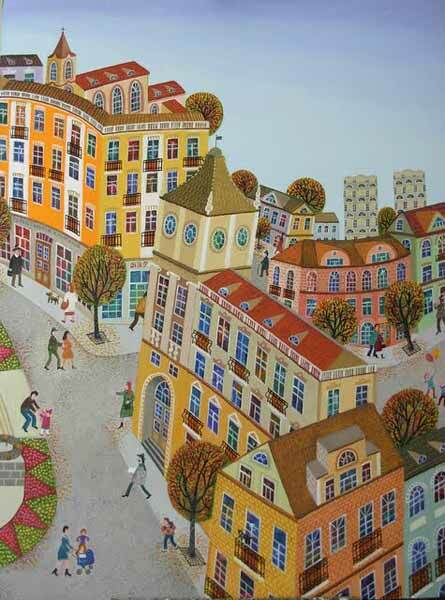 Igor Rimashevski made sketches; they were printed out on a special fabric and mounted on the walls outside the building. 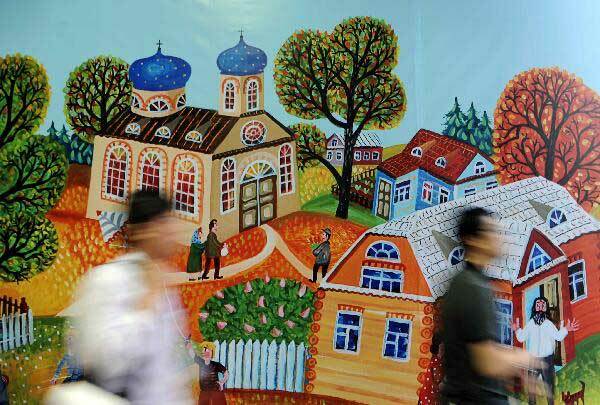 His images are also used to decorate the interior of the Belarus pavilion. 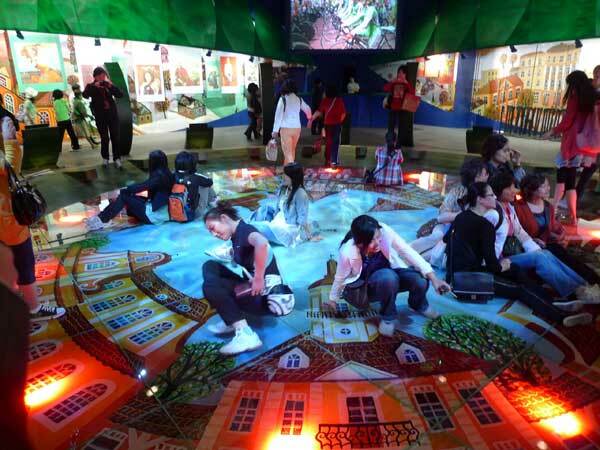 The organizers chose to employ video, holographic and other visual media to display the country's achievements in urban development, to showcase cultural diversity and to introduce scientific and technical innovations. At the same time the interior is dominated by two main colors – green and blue, to emphasize the natural treasures and uniqueness of Belarus with its beautiful woods and lakes. To learn more about Igor Rimashevski and to see his artworks, please follow this link. 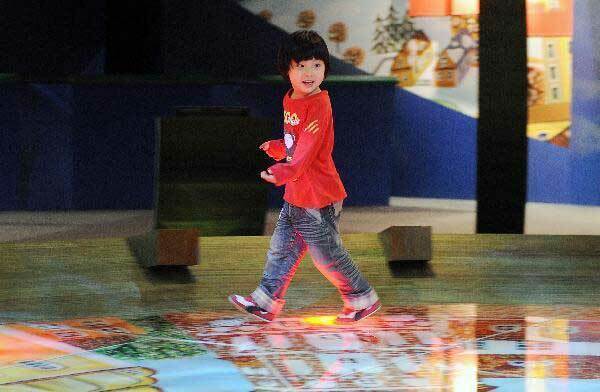 Photos by coolinsights, Tokuriki, Xinhua English, Igor Rimashevski.